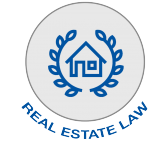 Real Estate Law is a primary focus of our practice. We represent clients from all over the world in all forms of residential and commercial real estate transactions throughout New York’s Hudson Valley. Due to the unique nature of this area, we are particularly familiar with the special issues involved in the purchase or sale of large high-end residential properties and farms. No two properties are the same – consequently even seemingly simple transactions may have hidden complexities. Through years of experience we are able to identify potential problems early in the process, and help protect the client’s investment. Let our experience and commitment to personal service make every aspect of your real estate transaction go smoothly, from contract to closing. In addition, we represent businesses in a wide range of real estate transactions, including the formation of corporations and LLCs, related to business acquisitions and sales. Are you a prospective buyer or seller of residential or commercial property? Is that property in in Columbia County, the Hudson Valley or the Capital District?